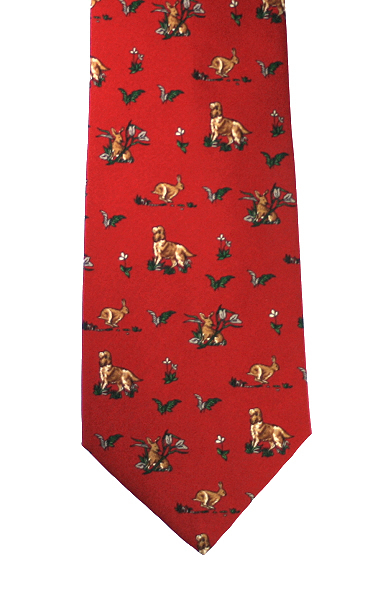 A delightful country themed tie with gundogs and hares motif made from red English silk. One of the Country Ties collection. A 'Pointers of London' ceramic trinket box.